I saw this little gift pack on sale at Sephora and I had some gift cards burning a hole in my pocket. 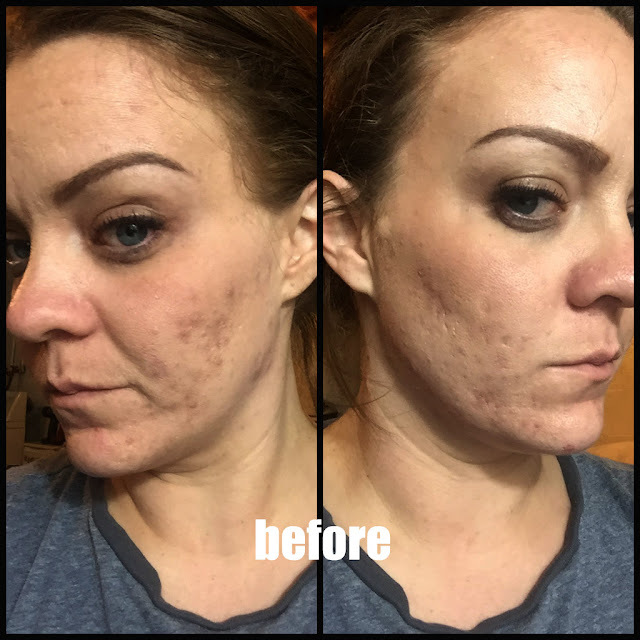 I thought this was a great buy and there are a lot of products in here that I have never tried before. See what I love for the gym and what I can leave. Dry shampoo is my best gym friend. Since I bleach the poo out of my hair and my shampoo is super expensive and it's just not good for your hair, I don't wash it every day. I actually wash it once a week. 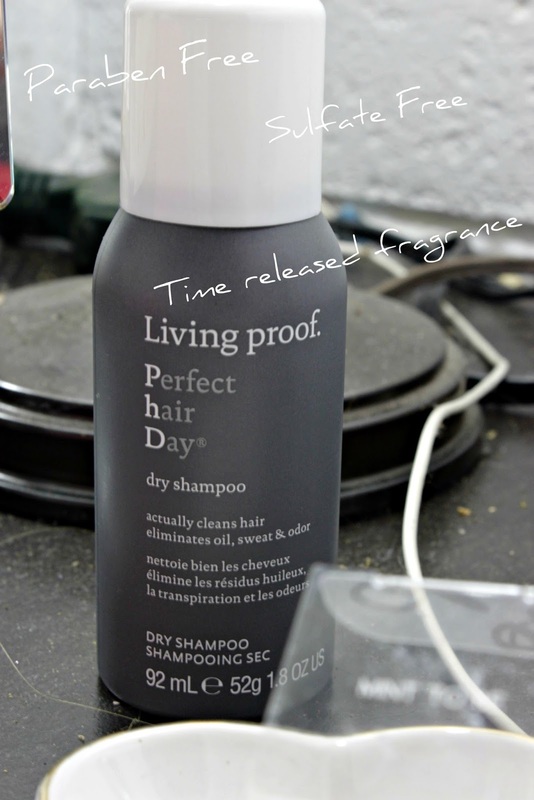 I need a great dry shampoo to get me between washes and keep my hair looking fantastic! I have never tried Living Proof as a dry shampoo brand, but I do like it. The smell and the actual product is awesome. It soaks up all the yuck without making my hair look greasy chunky. I'll be putting this in the rotation next. This is my new FAVORITE product! I have one of my wrist right now and use it every day at the gym. It is the traceless hair ring by Invisibobble. 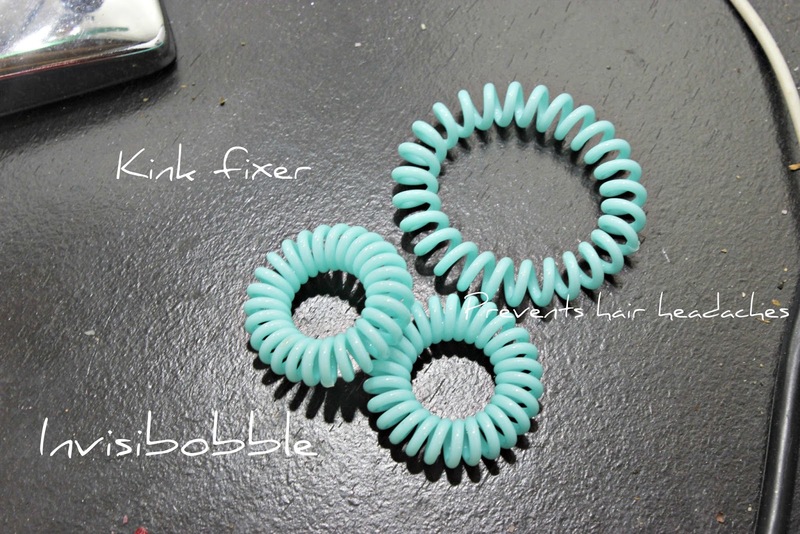 It is a plastic hair tie that doesn't kink your hair even when it's moist with sweat. Trust me, I have tested it! I am a high intensity cardio freak and my hair usually kinks at the slightest hint of moisture. My hair does not kink at all with this in. There is zero trace of a pony tail when I take this out. If you don't have one of these and like to roll out of the gym and go back to work or actually do something, you need these in your life. Milk makeup is something that I have not used and then I actually got two Milk products in the same week. I looooove these multi-use products because it gives me room in my gym back. As a makeup freak, I already have a mega huge makeup bag so more room is always great! I have already used this as a blush and I love it. 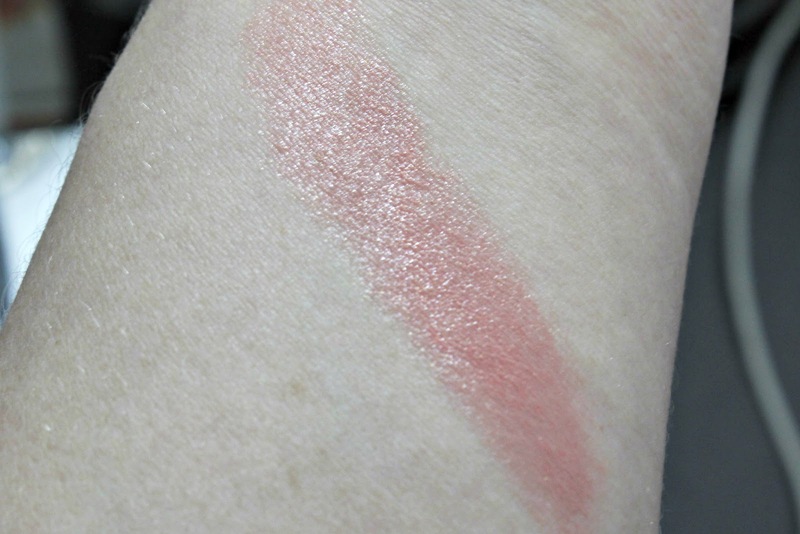 The application is awesome and the color is just this beautiful peachy pink. 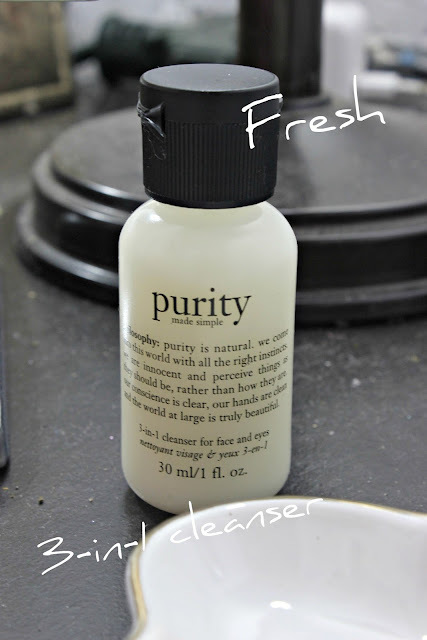 Purity 3-in-1 cleanser from Philosophy is a great gym pick! I always wash my face before the gym to get all of my makeup off and then after the gym to get all of my sweat off. A nice, light cleanser is a great way to do this. I have not used this one yet, but it's up next in my rotation. 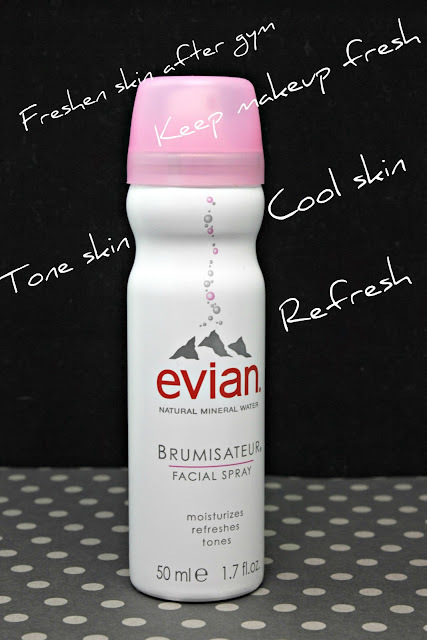 Evian facial spray is one of my favorite summer time and gym products. It's so easy to use and it's so refreshing. If I don't have time to shower, it's a great way to cool off and get rid of that sticky skin. It's also a great way to set your makeup look in case you are going out afterwards. 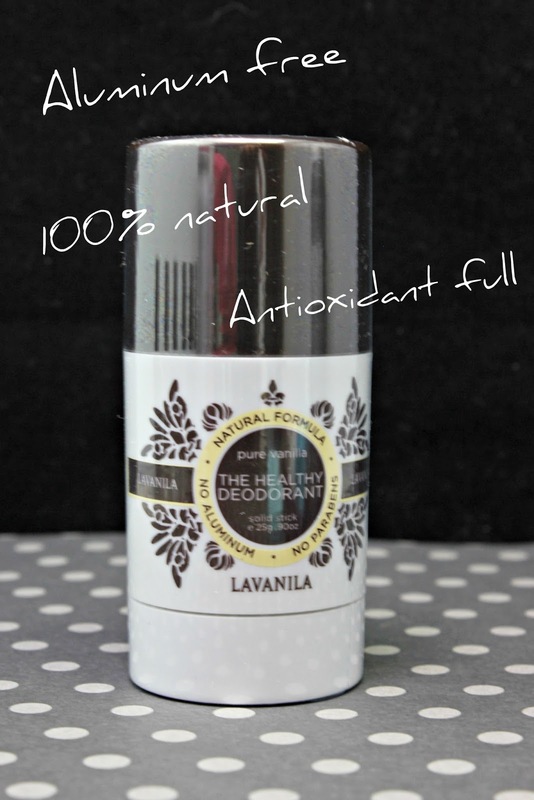 Lavanila deodorant is an all natural deodorant that is actually good for you. I have never used this brand, but I have heard so much about it. I have been using it for the last couple of weeks and I actually like it. I was scared that I was going to be be smelly or it was going to irritate me. Negative to both of those. It has great odor control and wasn't harsh on my skin, at all. I actually might keep using this to do something good for myself! 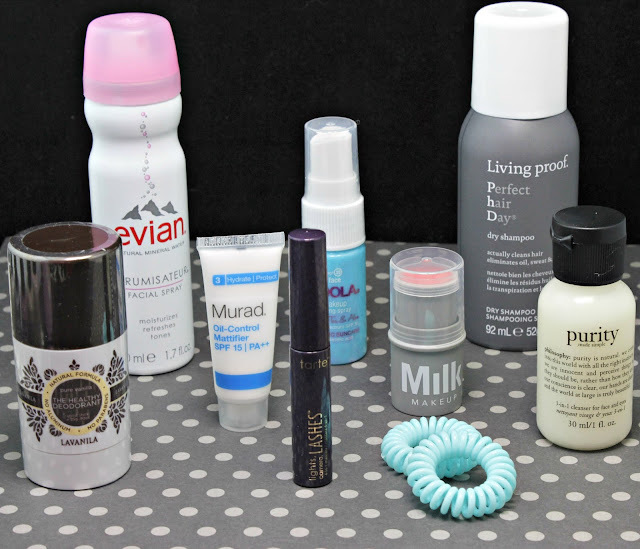 Of course, you always need a mascara in your gym bag. Sometimes, when I don't feel like doing anything else to my face after the gym, I have to at least throw on that mascara. 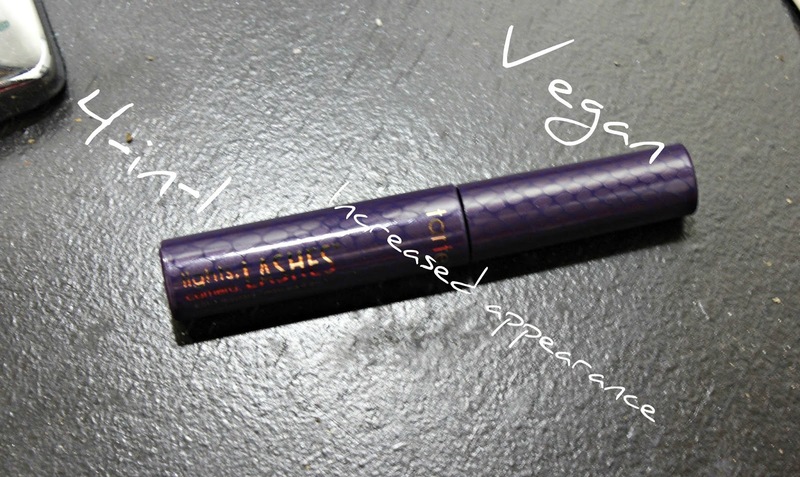 Tarte Lights, Camera, Flashes is an ultra black mascara that curls, lengthens and magnifies your lashes. I mean, what else can you possibly need?? I'm a huge mascara snob so while I like this, I don't love it! 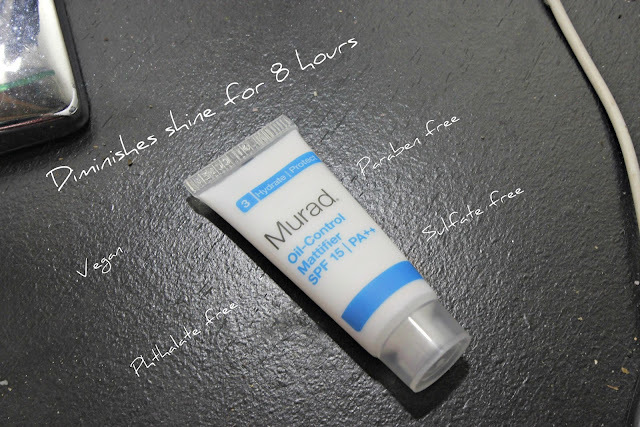 I looooove this moisturizer from Murad! It controls oil for up to 8 hours and has 15 SPF! I mean, hello, can you get any better? This contains willow bark and tea tree extract to help control the redness. 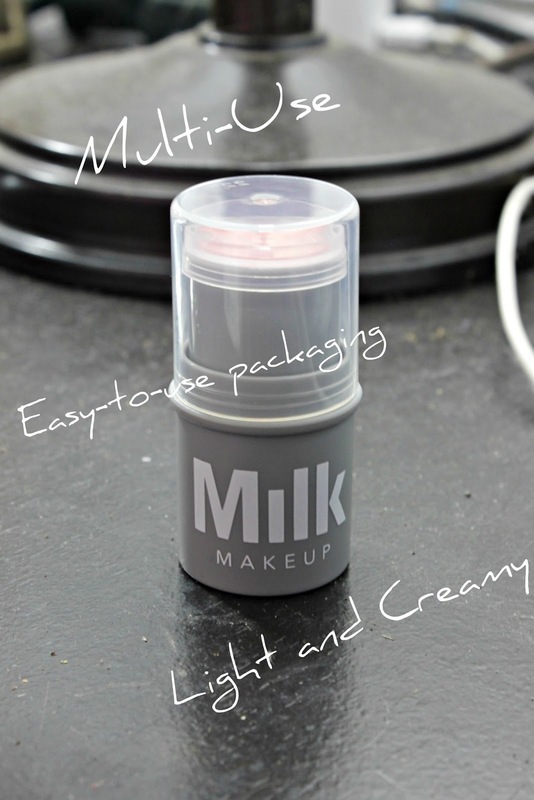 This is also perfect for acne prone skin and is ideal for morning use. I actually use it after my gym wash, but either way it's awesome! Murad always has such great products. What do you think of these? Do you like them? Do you have any of these yet? Which is your favorite?